One Step (paddle) at a Time! 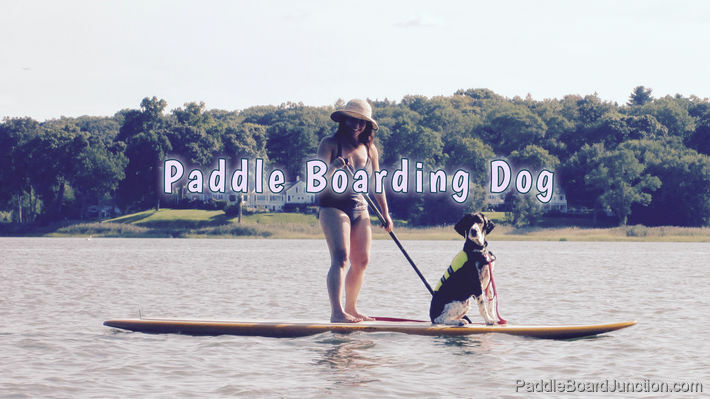 Wondering if your dog will make a good co-captain on your paddle board? Find out what we did with ours! Our 5 year old spring spaniel, Bodhi absolutely loves the water. He loves swimming, boating, anything that involves water to be quite honest. He’ll even try to catch fish if he sees them. He waits above them in the shallow areas of a lake and then with one gigantic leap tries to pounce on them! Not the most elegant fisherman and the least successful too but he sure has fun. It was only natural to take our dog, Bodhi out with us while paddle boarding. Because we had a few disasters trying to take him kayaking we decided to stay right near the shore and get him used to the paddle boarding routine. Our dog has completely capsized a kayak while we were both in it. He is a maniac of sorts and if he feels like jumping out he just does it. Especially if he sees a duck or something he wants to swim over to. So getting him used to the paddle board was a must and if you take you dog out I highly suggest you do the same. It only takes a split second for everything to get really out of control. All I had to do was sit on the board and tap it once and Bodhi launched from the shore right onto the board. I don’t know about your dog but ours is famous for leaping first and figuring out things later! I guess that’s why they call the breed “springer” spaniels. Man these guys leap before they look. So Bodhi hopped right on and shortly thereafter ran to the front of the board, the part with no grip-pad, and slid right off with a spectacular crash. He hadn’t yet figured out where the non-slippery areas of the SUP where located. Now here’s the point where I must tell you that it’s important that you and your dog both have a life jacket on. There’s so much that can go wrong. What happens a giant boat wave swamps you? What if a duck suddenly piques your dog’s interest? The point being, you just never know what’s going to happen. I normally travel great distances on my paddle board but not this day. 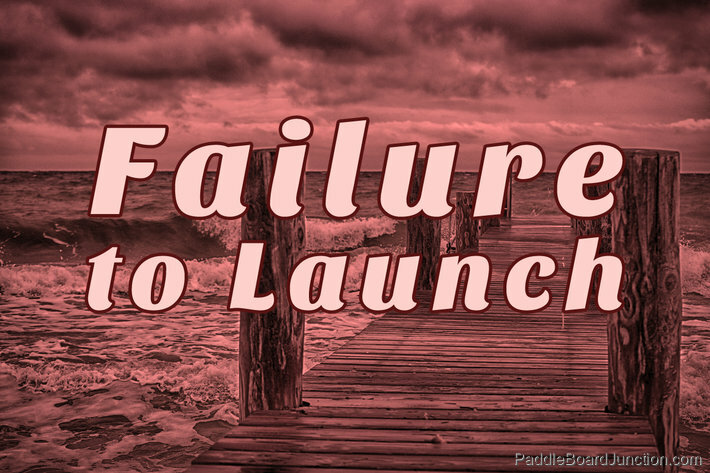 I launched from the shore of a salt water creek and ventured out merely 50 feet from the shore. I then proceeded to go up and down the shoreline. I wanted to get Bodhi used to the movement, the paddling, and the turning. It took him a few tries to figure out that sitting or standing near the center of the board was best. He slipped off the front of the board numerous times. FYI: Dog claws really scratch up your paddle board. Dogs will inadvertently put scuff/scratch marks in the shiny fiberglass finish and their claws will tear at the SUP deck padding. Although I like taking care of my equipment it is there to be used. The enjoyment my family gets out of paddle boarding together, dog included is worth far more than the material costs of these objects. At the very least I would make sure your dog is wearing a flotation device. 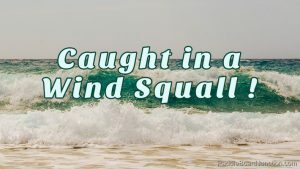 They typically have a handle on the back which is completely necessary to help pull your furry family member back onto the board when out in deep water. My dog is an excellent swimmer but his body isn’t engineered to allow himself to pull himself out of the water and onto the paddle board without help. In shallow water he pushes off the ground and jumps on, but in deeper water he needs help. The life vest not only has that convenient handle on the back for this purpose but is also a good idea in general. Both of you should use a life jacket. Play it safe. We swim Bodhi with a 30 foot leash anytime we’re in tempting situations and that, to be quite honest is most of the time. Being a Springer Spaniel, a sporting breed, Bodhi is ready to hunt down any smell at any time. He can’t really be trusted off his leash and can run up to unsuspecting strangers, smimmers and clobber them before they even know what hit them. 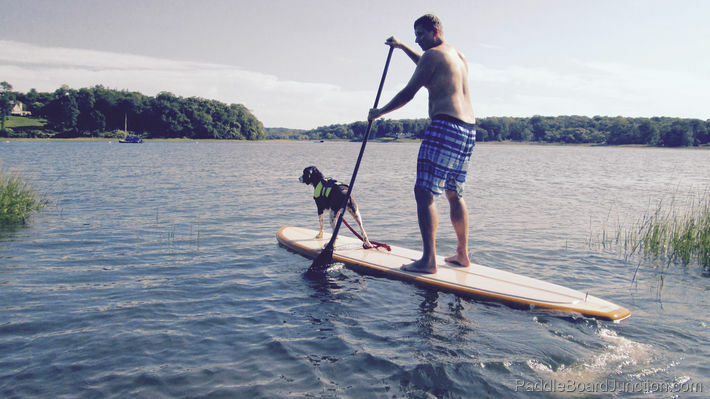 For this reason we always keep his long, 30 foot leash on him while we paddle board. I’ll admit it’s not the most convienient item. I spend a good portion of my time managing the leash, making sure that it doesn’t get tangled around me or the paddle board. It tends to get caught on the fin too. I tie the handle end of the dog leash around my angle when I paddle board. That way my hands are free to paddle, swim, pull up our dog, or what ever. I bet this would be not such a good idea for someone who is not a strong swimmer. I can see somebody getting the leash wrapped around their legs and them panicking or worse drowning… but I’m not too worried about that. I have never panicked in the water. 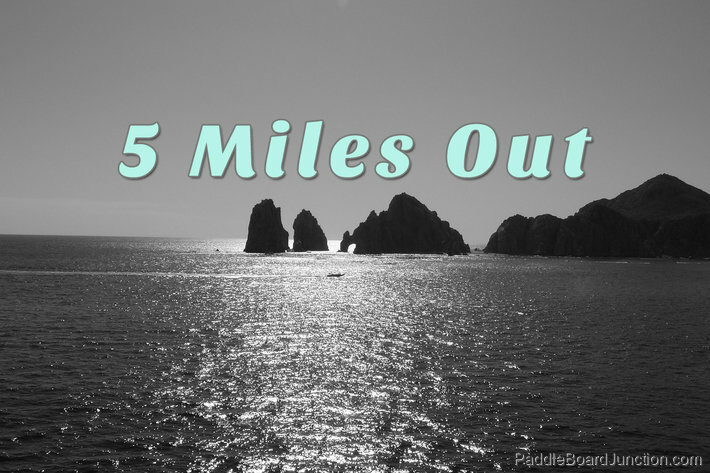 Not in gigantic waves (15+foot surf) or hurricane-like winds. But I have a long history playing in deadly conditions – that’s why I don’t mind tying the dog leash to my leg! We do much of our swimming in salt water. The salt water will corrode the metal parts to the dog leash. As a result, make sure you wash it thoroughly with fresh water after your session. 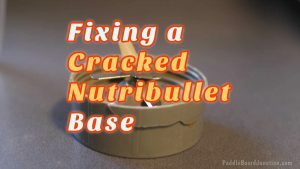 I also oil the metal parts every so often which keeps them working and the oil slows down the rusting. 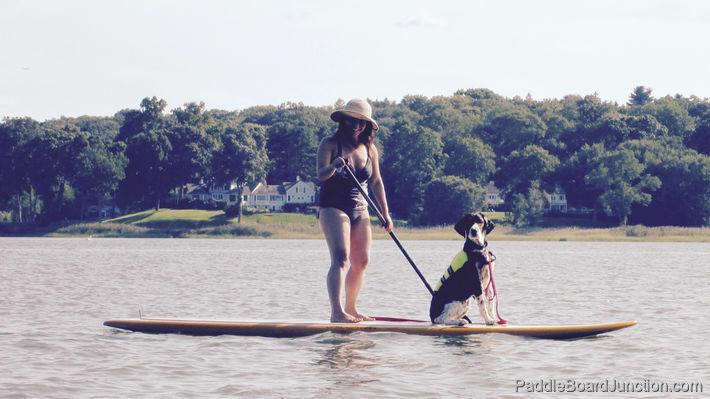 So, we only have about half of a season’s worth of paddle boarding with our dog. I’m sure after a long winter he’ll have to relearn some of the riding techniques again when the weather warms up. 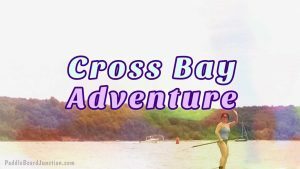 We’ll have some good laughs as he slips off the front of the board in a spectacular splash… and frustrations when he decides to launch off the side of the SUP after a resurfacing cormorant. Either way we’ll have some great family fun and enjoy a great deal of exercise!